Mariahlynn has a bow with lipstick tube and martini glass tattooed on her right wrist. 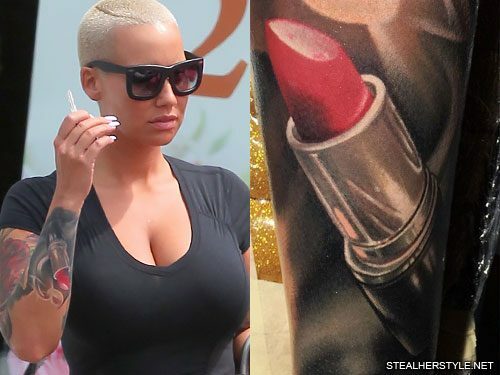 Amber Rose added this tattoo of a tube of lipstick to her right arm sleeve in July 2015. A few months later she added a pair of lips above it, which seems to have been part of the plan all along. 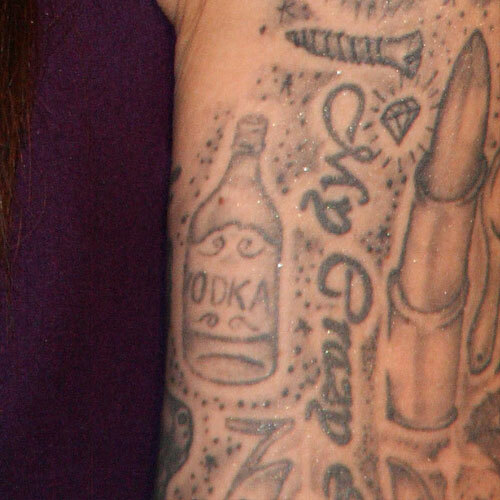 Next to the pin-up girl tattoo on Jodie Marsh’s upper left arm are a scattering of feminine items including a makeup brush, platform shoes, a mirror, a tube of lipstick, and a coat hanger. “Lady 1963” for her mother Hayley Mortison who was born in 1963. 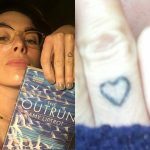 She writes “My mom and I always call each other lady, so I got this tattoo for her. 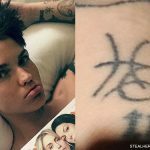 I got it on my wrist next to the blue star I had, and I made the blue star black, it looks way better.” It was done in August 2008. A pink tube of lipstick, which she got in January 2011. 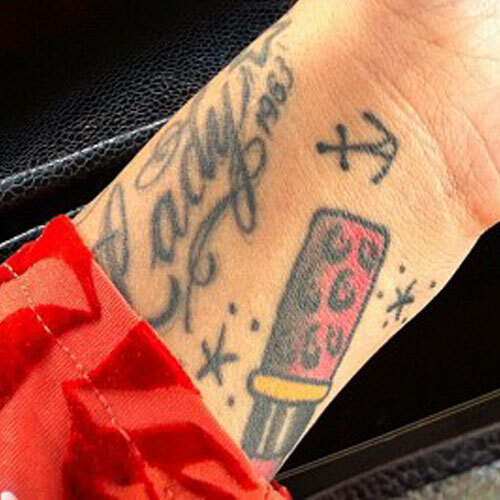 An anchor which is a matching tattoo with her mom, done in March 2012. 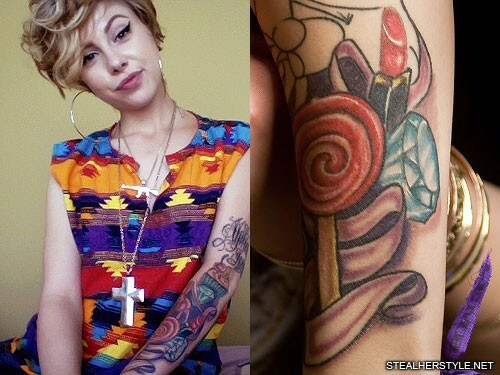 Lil Debbie began work on her left arm sleeve with this design of a lollipop, diamonds and lipstick.